If you've been using miracle box and all of a sudden yours has an inactive start button This is due to using an old and expired version of miracle box while your PC is connected to the internet. Follow any of the two methods below to fix this. 2. In the window that appears next, click on "Change date and time.."
>> You can block miracle box and loader using any other firewall program of your choice. It would work just the same as using Windows firewall. 13. 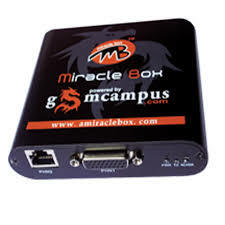 Now, you should be able to keep using this version of miracle box without disconnecting your internet connection or having to backdate your PC's date.